Think you have the voice to star on Broadway? 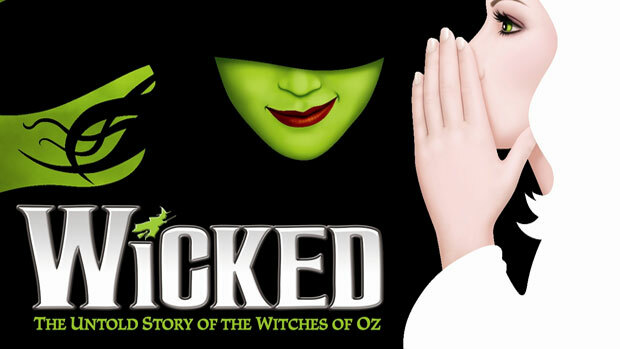 The hit Broadway show “Wicked” will be holding open auditions for principal and ensemble roles in New York City. The show will be hosting open auditions for singers next month. 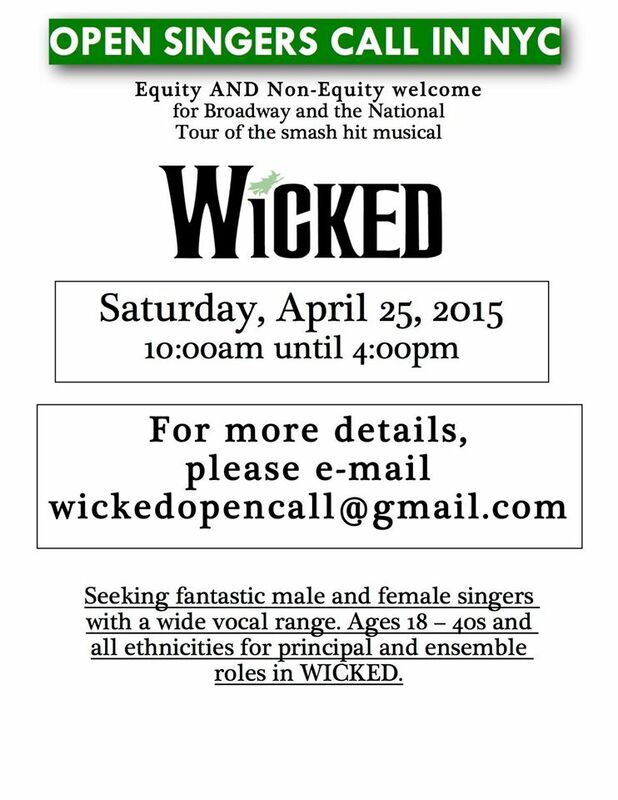 They are seeking both equity and non-equity performers to join the cast of the Broadway show and the national tour. Auditions will be held April 25th, ages 18 to 40’s, male and female singers of all ethnicities are welcome to tryout. “Wicked” is a re-telling of the L. Frank Baum’s classic story “The Wonderful Wizard of Oz,“….. from the witches perspective. “Wicked” is based on the Gregory Maguire novel “Wicked: The Life and Times of the Wicked Witch of the West“. The story begins before Dorothy ever set foot in OZ, but continues after her arrival. “Wicked” is a tale of friendship and trust that reveals that there are always two sides to a story. The show’s main characters are Elphaba, the Wicked Witch of the West and Glinda the Good Witch. The show follows Elphaba through her childhood and schooling. Elphaba is a passionate activist who wants to fight injustice. Glinda is her “spoiled rich girl” friend. The two are unlikely friends who must deal with differences in opinion and get caught up in a rivalry over a man they both want. The stories events and their friendship will ultimately lead to Elphaba’s ultimate fall from grace and get Elphaba labeled “Wicked“. The show is produced by Universal Studios, Marc Platt and David Stone. “Wicked” premiered on Broadway at the Gershwin Theatre in October 2003 and has become one of the biggest show’s in the country. The Broadway production won three Tony Awards and also received a Grammy. It October of 2013, the show celebrated it’s tenth year. At that point it was the 11th longest running musical on Broadway having put on over 4,600 shows. If you want a chance to join the cast, check out the below casting flyer for submission details. Talent interested must email the provided address for further instructions.